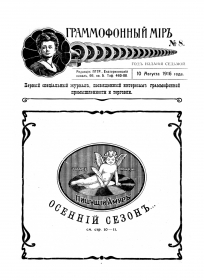 St.-Petersurg 1910-1916. 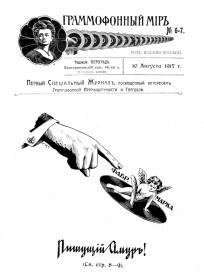 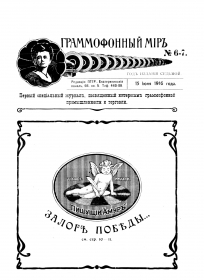 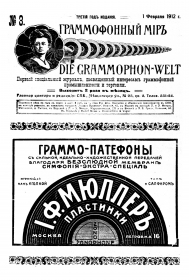 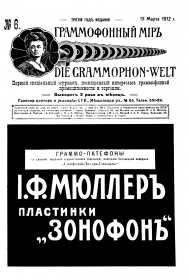 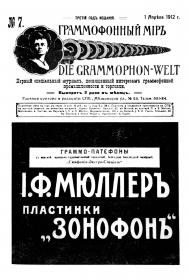 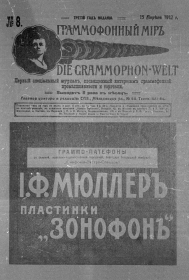 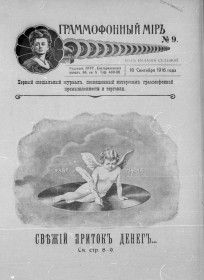 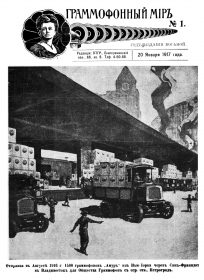 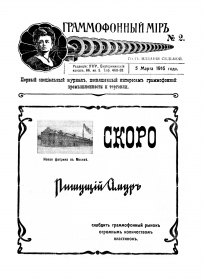 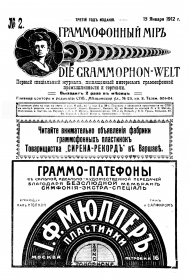 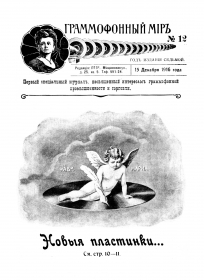 The Magazine dedicated to Gramophone market and industry. 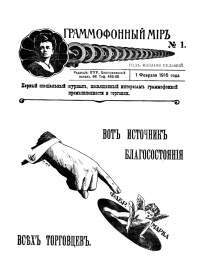 Frequency 1-2 issues per month. 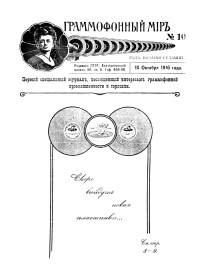 Editor-Producer D. A. Bogemsky. 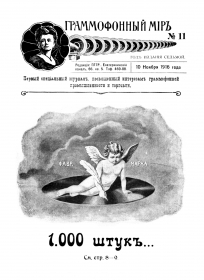 №№ 10-11 1912 S.A.Zarsky; №№ 07-08 1914 L.Sabsovich. 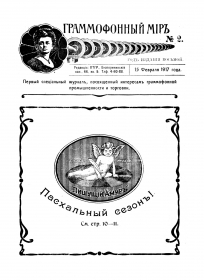 Size 27-33 cm. 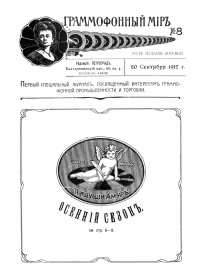 15-28 pages with illustrations.